The HIV Research for Prevention is a global scientific conference that is exclusively focused on the challenging and fast-growing field of biomedical HIV prevention research. The Conference supports cross-fertilization among research on HIV vaccines, microbicides, PrEP, treatment as prevention, and other biomedical prevention approaches, while also providing an avenue to discuss the research findings, questions, and priorities specific to each. 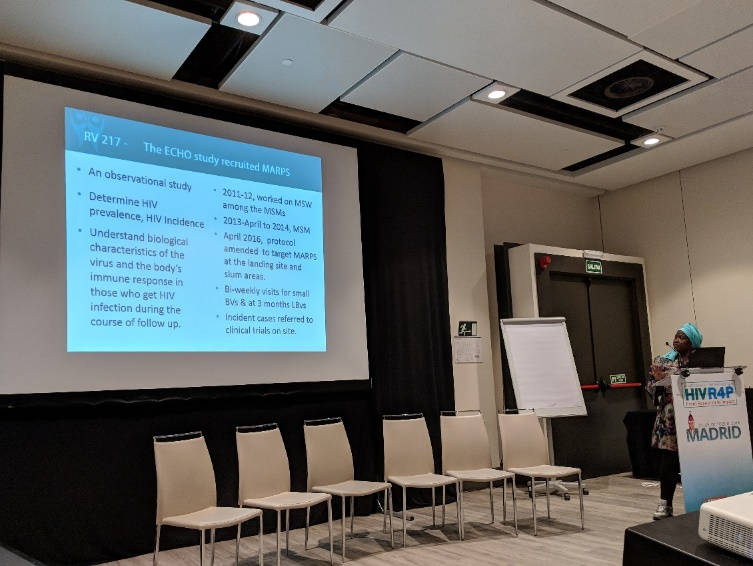 The 2018 edition dubbed HIVR4P 2018 was specially packaged with four days of plenary sessions by global leaders in HIV prevention research and policy, in addition hundreds of new research studies were presented in oral abstract and poster sessions; as well as meet-the-expert lunches, symposia and roundtables; and pre-conference satellite sessions sponsored by research and community-based organizations from around the world. 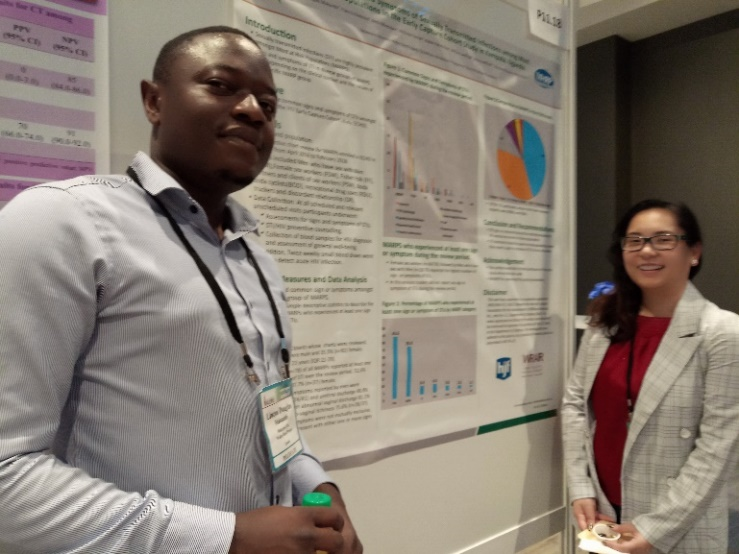 Among the satellite sessions that were pre-arranged at the 2018 conference was one that was hosted by the Military HIV Research Project (MHRP) and International Aids Vaccine Initiative (IAVI) specifically focused on “Engagement of African key population in HIV Prevention Research: Effective Recruitment and Retention”. 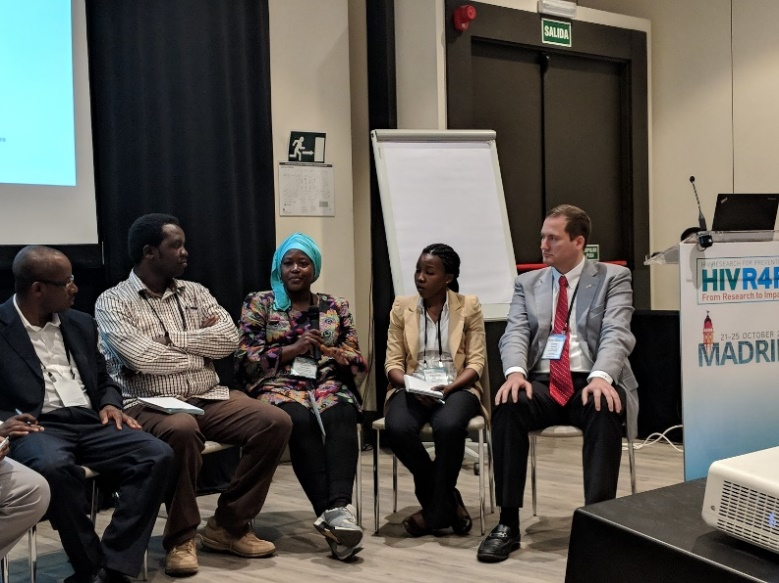 The purpose of this satellite session was to discuss how key populations can be successfully engaged in planned HIV biomedical prevention trials, discuss various recruitment and retention strategies from Africa and develop best practices and tools to inform future research in Africa and other regions. The feasibility of recruiting and retain key populations in research. 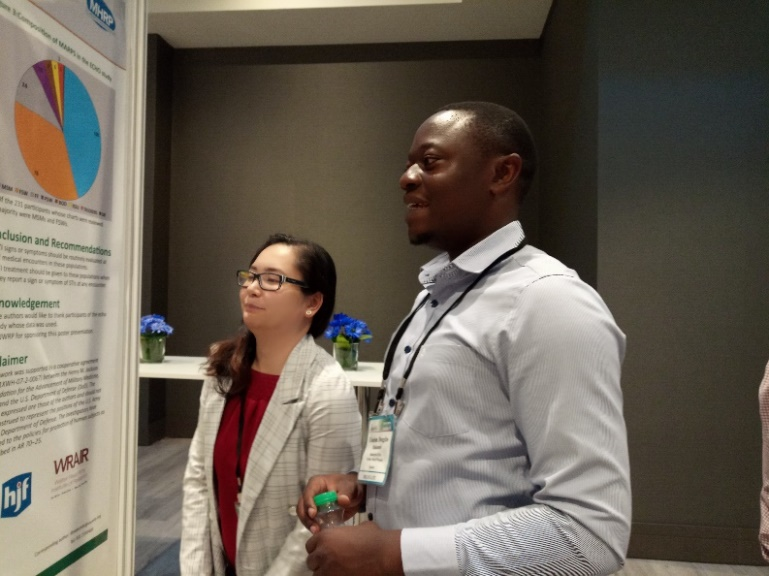 MUWRP was also featured through a poster presentation authored by Dr. Douglas Makumbi under the title “Common Signs and Symptoms of STIs among Most at Risk Populations in Kampala”. The poster received numerous visits and also attracted lots of questions. The objective of the poster was to describe the common signs and symptoms of STIs amongst Most at Risk Populations (MARPs) in the HIV early capture cohort study (ECHO) and the main finding was that among women, the most reported signs and symptoms of STIs were PV discharge and vulvo- vaginal itchiness well as in men dysuria and urethral discharge were most reported. The Recommendations and conclusions included routine evaluation of STI signs or symptoms at all medical encounters among MARPS and also that, STI treatment should be given to these populations when they report a sign or symptom of STIs at any encounter.